The large proportion of physiology regulated by the circadian clock suggests that the clock itself might present a possible pharmaceutical target to increase efficacy and reduce side effects. On this assumption is based the chronotherapy: the discipline that studies the delivery of drugs in sync with the circadian rhythms of the human body. This is the therapeutic application of the chronopharmacology. “There are several examples of diseases or symptoms that occur more in specific hours of the day. Among these” as Massimo Baraldo, Associate Professor of Pharmacology – University of Udine said “diseases like asthma attacks that occur more often in the morning, gastric acid secretions that tend to rise in the late afternoon and early evening, the immune system defence that increases at night, primary hypertension that occurs mostly in the morning and the secondary hypertension in the evening. ” “The chronoterapic medicines were introduced since the 90s and are currently under the spotlight and need to face several challenges, explains Michele Panzitta, coordinator of the Study Group AFI in Pharmacoeconomics, Department of Pharmaceutical Sciences-University of Perugia. 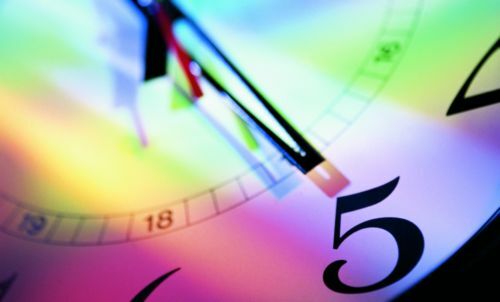 To design a chronotherapic drug is fundamental the knowledge of variation of the rhythm according to the timing of chronopatology, pathophysiology, pharmacology of the product developed and the characteristics of the circadian clock. According to these elements, it is possible to design and develop a model that indicates when and how much active ingredient (API) is needed and achieve a drug delivery system to obtain this modified release. Apart this, it is necessary to be able to transfer these elements in pre-clinical development. 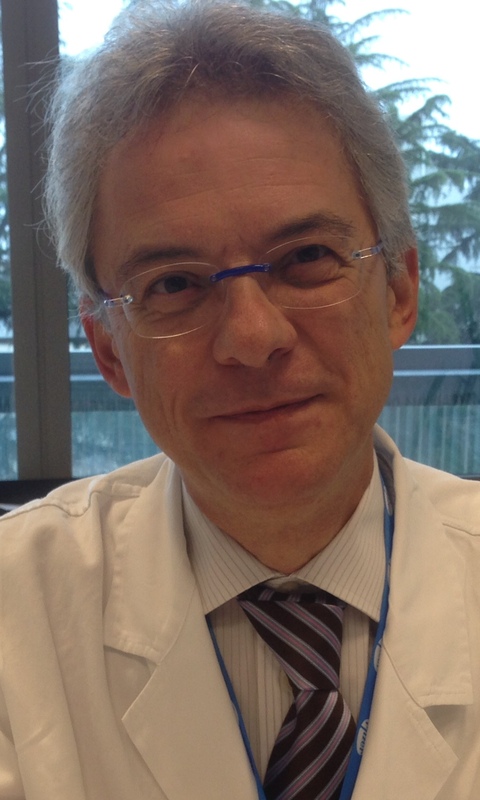 “In preclinical study, the availability of models that connect chemical and physical characteristics with the mechanism of action of the formulation with the rhythm of biological responses, says Panzitta, is an open challenge: many theoretical equations have been proposed but progress in this field are the basic element to speed up the process and make sustainable the development of new chronotherapic drugs. In addition to that, the development of effective chrono – treatments must also take into account the interindividual variability”. The metabolic variability of drugs within different ethnic groups is usually limited to the metabolism, reminds us Baraldo, but there are few studies that have evaluated the differences between the circadian rhythms in different ethnic groups “. Pharmaceutical forms are divided into conventional forms and unconventional forms. With conventional forms, the release of the API depends on its chemical and physical characteristics, while with unconventional forms his release is primarily based on the technological characteristics of the formulation. The variables of unconventional forms are the release speed (quick release and prolonged-release), time (delayed-release forms) and the place (drug targeting).The technology platforms used to achieve the desired kinetics are many: some in the development stage and some others already on the market with a proven validity. The recent outcomes of chronotherapy have had important repercussions on the tech pharmaceutical sector; the following description of the main strategies formulation in this field has been summarized for us by Alessandra Maroni, a researcher at the University of Milan. The delayed drug release or the pulsating one allows obtaining latency phases of programmable duration after the administration. At the end of the latency period, the release can be triggered by external stimuli of different nature or depend exclusively on the intrinsic mechanisms of the formulation. This is the case of the time-dependent systems, whose performance is therefore not bound to physiological variables such as pH and ionic strength. Because of the limitations fixed by the duration of the gastrointestinal transit, the design of delayed-release systems for oral administration can only be aimed at the treatment of pathological conditions that show circadian variation or ultradian in their symptomatology. The objective is the treatment of diseases with recurrent manifestations during the night or early morning, or in the time slots that are not easily accessible for the administration of an immediate-release pharmaceutical form without negatively affecting the compliance of the patient. Typical examples are ischemic heart disease, bronchial asthma and rheumatoid arthritis. From the point of view of formulation, oral delayed-release systems described in medical literature are drugs administrated with capsule, osmotic pumps or pharmaceutical forms provided with functional coating. The first element among the systems in the form of capsule is PulsincapÔ, which is made of a body insoluble and impermeable and a head in gelatine. 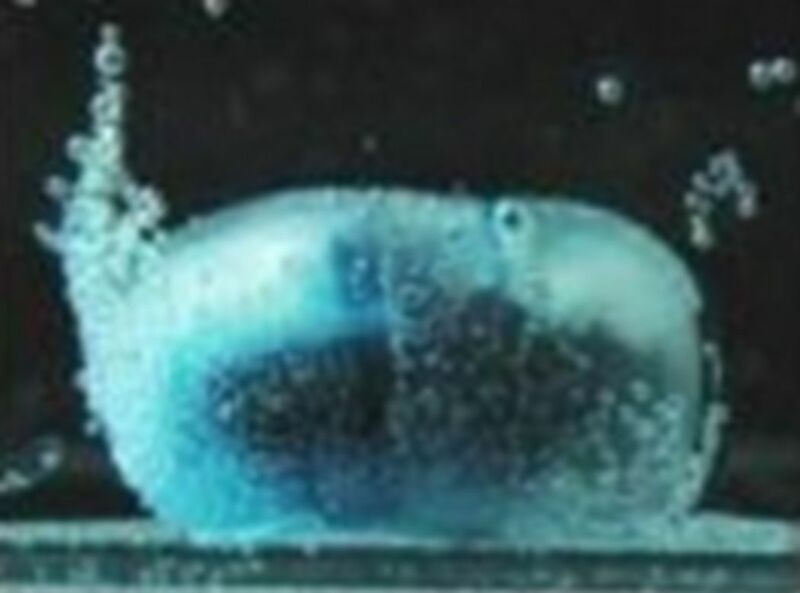 The body, that contains and spreads the formulation of the API, is closed by a matrix (plug) made of hydrogel, cross-linked polymer highly hydratable that, following the uptake of water, drill a considerable pressure of swelling up to be expelled from the body of the capsule, releasing the drug. The duration of the latency period dependents on the thickness and positioning of the plug. This system has been widely studied in vivo with techniques of imaging, proving results in the desired performance of delayed release. Noteworthy variants of this system are the PORTÔ systems (Programmable Oral Release Technologies), with the body lining of the capsule semi-permeable, internal formulation osmo-active and lipophilic plug, and Egalet®, made of a waterproof cylindrical body closed at each end by two matrices subject to surface erosion. The osmotic pumps, originally proposed for a delayed release of the drug, involve a stage of activation, with duration dependent on the characteristics of composition and thickness of the osmotic membrane, which has been exploited as a latency phase in order to achieve a slow release with delayed onset. In particular, the technology COER-24 (Controlled-Onset Extended-Release 24 h), that consists of an osmotic pump OROS push-pull, is the basis of a product containing verapamil hydrochloride available on the US market for chronotherapy of arterial hypertension. The coated systems represent the most numerous and diverse category and show a common design that includes a nucleus containing the drug, formulated in a different way depending on the type of release pattern desired at the end of the latency period, and a coating made up of polymers with different physical-chemical characteristics. As a function of the type of polymer used, or the composition of the polymer mixture, different mechanisms are configured to control the onset of the release, meaning the breakage of the coating, its gradual erosion, or a gradual increase in its permeability. In any case the duration of the latency phase depends on the thickness of the coating, given the same composition and methods of application. The breaking mechanism of the polymer film is always mediated by an expansion of the nucleus due to the appearance of aqueous fluid. This expansion can be induced including in the formulation internal osmo-active agents, hydrophilic swelling polymers or effervescent excipients. A pioneering system in this area was the Time-Controlled Explosion System, better known by the acronym TES. It is a multiple unit formulation that has, from the inside outward, an inert sugary nucleus on which are loaded a layer containing the drug, a hydrophilic swelling polymeric and a film of ethylcellulose that has a modest permeability due to the discontinuities of the coating applied. The biological fluids, when the system is submerged, penetrate in the intermediate state, determining the swelling until the laceration, due to the pressure drilled by the latter, the outer barrier and the consequent release of the API. Regarding the mechanism of delayed release based on the increasing permeability of the coating system, the most original is Sigmoidal Release System (SRS), another formulation of multiple unit consists of a sugary core, a layer containing the drug and a dicarboxylic acid, and in closing an outer film made from acrylic resin with quaternary ammonium heads, equipped with permeability initially limited. The entrance of the aqueous fluid within the system determines the solvable characteristics of the active and the dicarboxylic acid, which partially ionizes. The anions, derived from it, establish electrostatic interactions with the heads of the cationic polymethacrylate, while the uncharged molecules are divided between the lipophilic domains of the same. The result is a spacing of the macromolecular chains associated with an increased permeability of the film. Finally, among the coating systems, are also included the formulations with erodible coating. In most cases, this is made of swelling hydrophilic polymers, in particular hydrophilic cellulose ethers that provide versatility and safety of use. The system Chronotopic (Fig. 1), is coated with hydroxypropyl methylcellulose (HPMC), applied through different techniques (double compression, filming, layering of powders) and in various degrees of viscosity. 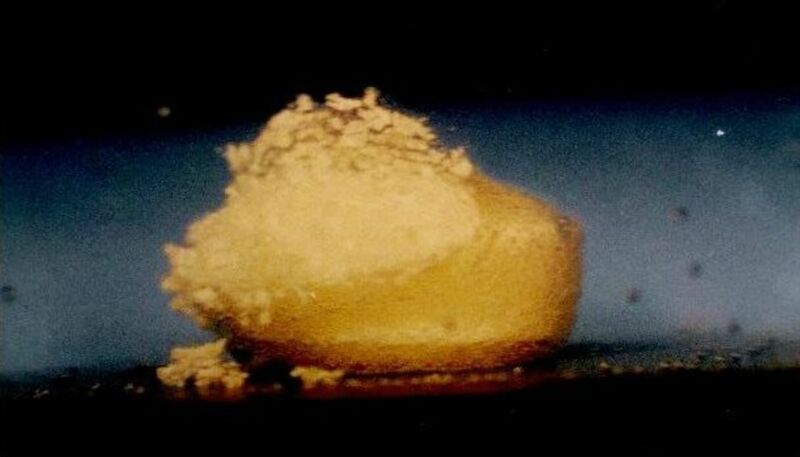 The polymer, in contact with the aqueous fluid, undergoes a glassy-rubbery transition and, during the rubbery state, progressively erodes postponing the release of the API from the nucleus. The system have shown to give phases of latency in vivo with duration correlated with the thickness of the erodible coating. Taking advantages of its reproducibility of the transit time of the pharmaceutical forms along the small intestine, which has been described to have an average duration of 3 hours, and be slightly influenced by the characteristics of the dosage form and gastric filling of the subject, the Chronotopic system was also proposed for the release of drugs on the basis of colonial time-dependent. Both γ-scintigraphic studies and pharmaco scintigraphic studies showed that the disintegration of the formulation has occurred in the colon in all the volunteers involved. Recently, it has been designed an alternative configuration of this system in which the functional polymer barrier and the formulation of the internal API are not connected. In other words, it has been proposed, instead of a polymer coating applied to a specific dosage form, a capsular container of composition and thickness such as to impart the latency phase to the desired release of the drug content, liable to the desired use with any compatible formulation (Chronocap, fig. 2 and 3). This, obviously, would provide important advantages from the point of view of pharmaceutical development and the regulatory procedures. 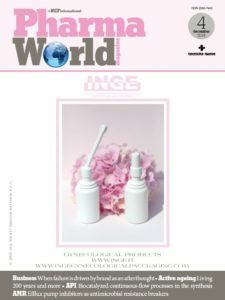 The capsular container is designed for injection-molding technique widely used in the manufacturing industry but until now not used in the pharmaceutical field, with interesting perspectives in terms of scale-up and continuous manufacturing. The real future challenge relies in the development of biomaterials that adapt themselves to the rhythms required. The ideal biomaterial should not only be biodegradable and/or biocompatible but also guarantees a reversible response to specific biomarker with time and manner that suit the characteristics and the rhythm of the biological system considered. ” In addition the ideal biomaterial should respond adaptively to the stimuli of any specific individual. Many biomaterials that respond to external stimuli such as pH, temperature, etc.. have been developed: the most innovative are in the research stage but are still complex and the variability of response to stimuli depends on many factors (often difficult to mark out in terms of chemical-physical) including shape, surface characteristics, size, solubility, gel transition, etc. These factors are part of the critical attributes of quality of the drug and ensure effectiveness and safety; in turn they are obtained from a production process that needs to have the critical parameters of the process and materials within specific limits. Their relationship is studied by the Quality by Design, whom application is expected by the standards, being an approach to be used in both R&D phases and production.